The American cockroach is the largest of the house-infesting cockroaches. It is reddish brown, with a yellowish figure 8 pattern on the back of the head and can grow to 2 inches long. 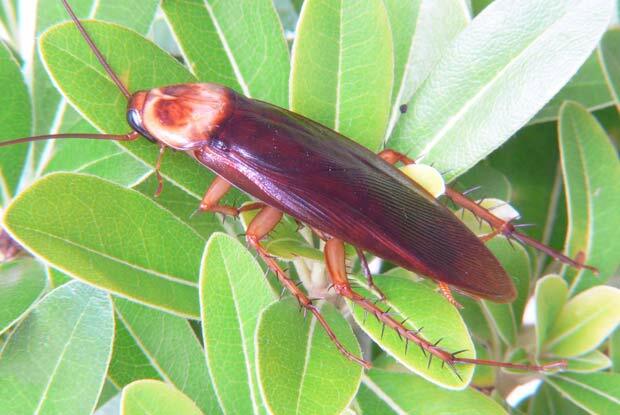 American cockroaches are found in food processing areas and food storage areas, as well as other types of buildings. They are active when the temperature is 70 degrees or higher, but they can survive lower temperatures with the right conditions. They are often found in sewers and basements, particularly around pipes and drains. Give us a call today at 503.720.8559 to learn more about American Cockroaches or to schedule an inspection!